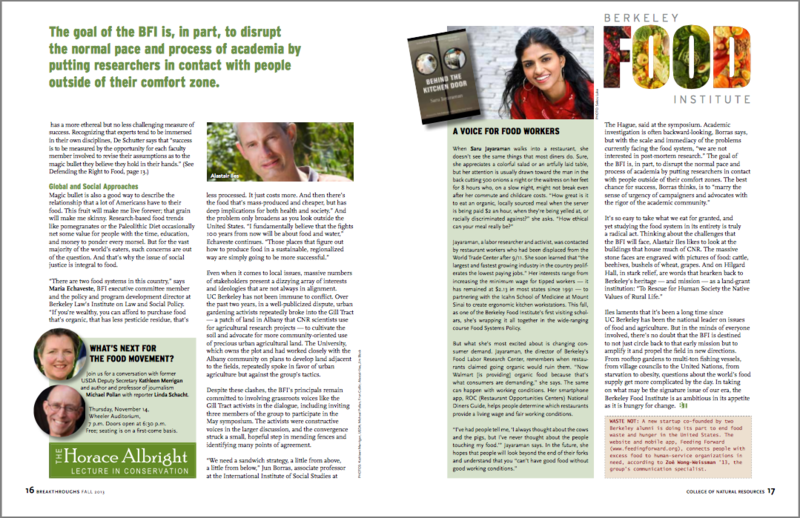 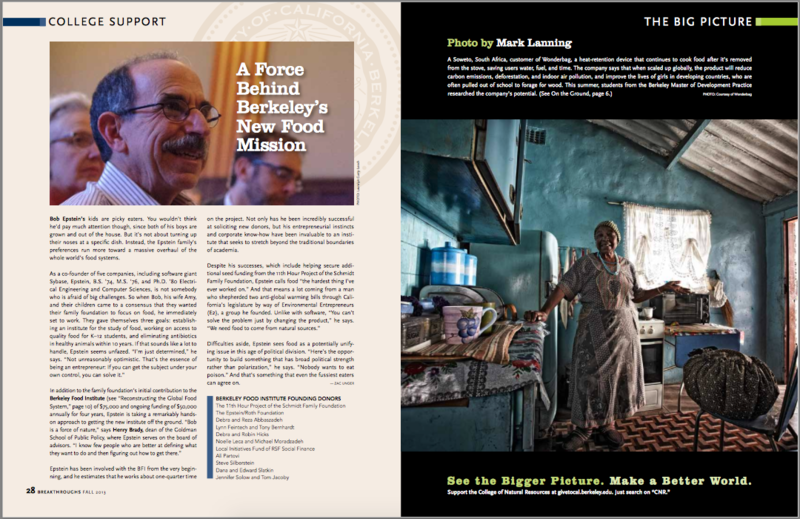 This cover story was timed to help launch the Berkeley Food Institute, a new CNR-based research center uniting five UC Berkeley departments to study the global food system. 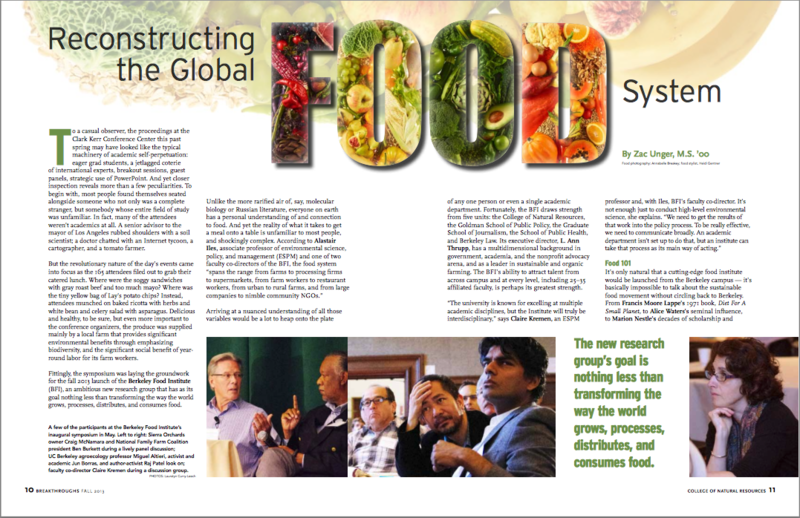 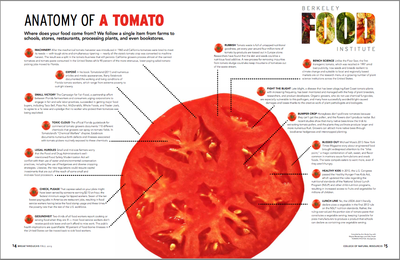 The article's multiple sidebars reflect these multiple perspectives, and I developed the "Anatomy of a Tomato" infographic for browsable access to the complexity of the food system unpacked in the article. 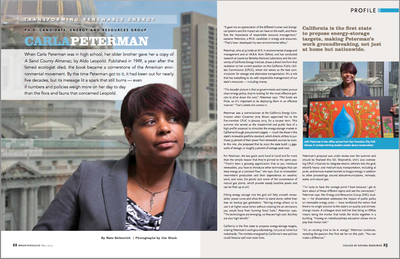 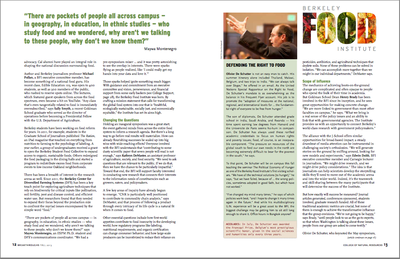 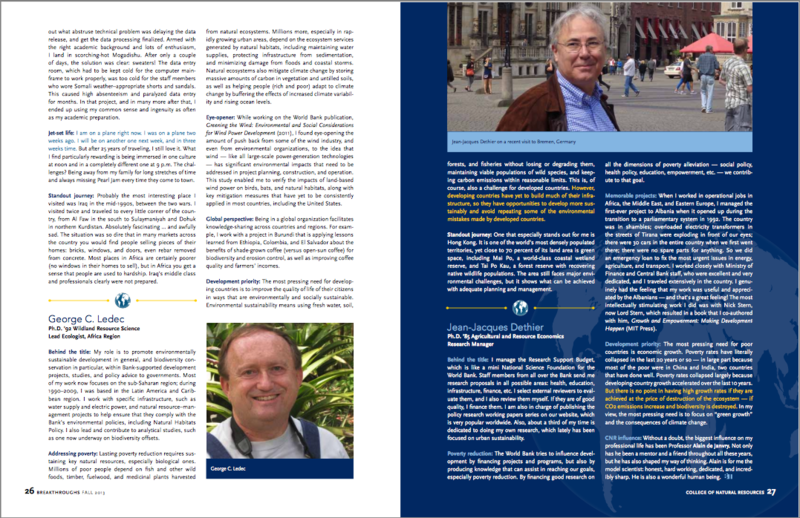 A key donor is featured in the College Support section. 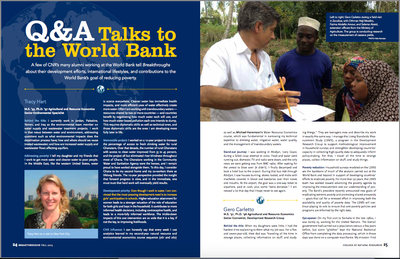 Two regular spots on development tie together - Q&A with alumni at the World Bank, and On the Ground with candidates for the master of development practice.